As Spring approaches, I’m sure I’m not the only one who has started thinking about how they are going to refresh their home in preparation for the new season. For me, there could only be one place to start…with my bed of course! I am one of those people that absolutely loves and needs their sleep (is there any other kind?!) – at least 8 hours a night if possible please. If I haven’t slept, you will know about it. Either because I will tell you, or because my zombie-fied, pale grey face will give me away! With less than a month to go now before we welcome our new arrival, the panic that I might not be getting my 8 hours a night is starting to set in. So over the last few weeks I have been on a mission to find the perfect mattress, pillows, duvet and bedding to help give me the best chance possible of getting at least some sleep, even if it’s not quite 8 hours worth! During my mission I called in the help of the very lovely Sarah Smith, Head of Buying at Soak&Sleep. If you’ve never heard of Soak&Sleep, then where have you been?! They offer everything you could possibly need to create the most sumptuous and relaxing bedroom and bathroom environments. Their website provides extensive expertise on all things sleep related as they aim to help you find the perfect products for your individual sleep needs – sounds good right? We spend a huge portion of the day in our beds, so updating the basics each season in order to get the best night sleep in all weather is key – after all, you wouldn’t wear a thick, heavy coat in the summer so why would you sleep with the duvet equivalent in the warmer months? A great option is to opt for an all seasons duvet – this is made up of two separate duvets that can be fastened together for winter, or used separately for summer and spring / autumn. Made up of a 4.5 tog (for warm weather) and a slightly more snug 9.0 tog, it’s the perfect solution for year-round comfort. There’s nothing like a spring clean to set you up for a new season. We advise that you wash your pillows and duvet at the start of each season (or at least every six months) to keep your bedding as fresh and bouncy as possible. All of our products come with easy to follow washing guides, but as a rule of thumb most pillows and duvets can simply be popped into the washing machine at 40 degrees or even better to get them professionally laundered. If opting for the at-home wash then be sure to dry everything thoroughly, and include a couple of tennis balls in the dryer with them to ensure the fillers are plump and well-aired throughout. When investing in the right bedding basics, it makes sense to keep them protected. We see mattress / duvet & pillow protectors as a staple for keeping your bed in tip top condition. Whether protecting from accidental spills, bugs or simply daily grime and sweat, a protector offers a barrier for your bedding that can be easily washed and freshened for year-round cleanliness. With spring and summer in mind opt for a natural material protector to keep your bed as breathable and cool as possible. Spring, and especially summer, are the warmest months so it’s important to choose bed linens that allow your body and bedding to breathe. 100% cotton is breathable and will allow air to flow, avoiding a sticky night’s sleep. My favourite though is Pure French Linen; indulgently soft and gorgeously crumpled, it’s the ideal bedding for a relaxed and inviting bed. Cool to the touch and up to three times more absorbent than it’s cotton cousin it’s a no brainer for staying cool and comfortable when the temperature is on the rise! 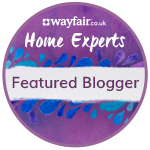 Sarah has very kindly helped me to find the perfect bedding to suit both mine and the hubby’s individual needs – which was no easy task I tell you, as we are very different sleepers! My body temperature rises to over 100 degrees as soon as my head hits the pillow (or at least it feels like it does anyway!) while Chris can often be found sleeping in thermal socks, joggers and a sweatshirt – with the hood up…in Summer! He sleeps flat on his back and me only ever on my side, so finding the right products to suit us both was tricky but of course Sarah was able to do so! I’ll be revealing my beautiful new bedding and which products were chosen for both Chris and I in another post very soon.